The Sherp is in conversation with Benny Dayal And Funktuation before BACARDÍ NH7 Weekender Pune edition from 7th to 9th of December, 2018. Benny Dayal is back for another glorious BACARDÍ NH7 Weekender Pune edition, and this time he’s bringing his electro-funk band – Funktuation along for the joyride. After quitting a BPO job to focus on his music career, Benny participated in the SS Music Voice Hunt and got instant recognition. He has sung for several movies in Bollywood and the south, most notably with maestro A.R. Rahman himself. 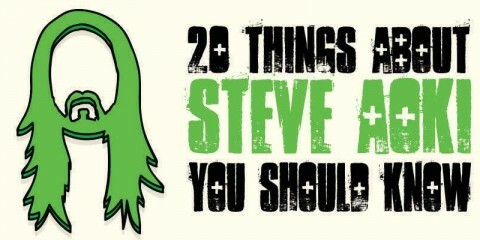 The Sherp: For starters, what is it about BACARDÍ NH7 Weekender that brings you back to their stage? Benny Dayal: BACARDÍ NH7 Weekender always gives me goosebumps. It is a moment for any artist, where their true identity as a musician is realised. I love performing here, and I know it for a fact that this year is going to be another memorable Weekender for me. 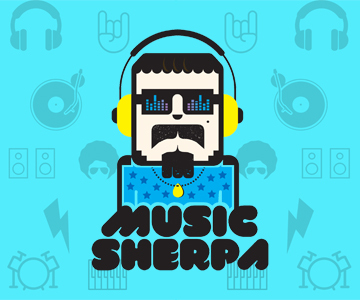 The Sherp: Benny, you have conquered the world of playback singing as well as live performance. How different an experience is it working for both platforms? Benny Dayal: When we get into a studio for recordings, it is a creative rush, and when we get on stage, it’s an adrenalin rush. Hence, playback is more on a creational level. We get to create the music that we eventually are going to present live to the audience. But when we get to the stage to perform live, we artists become different human beings. Even though we’d be down morally and physically, the audience energy helps us boost the adrenalin in us that we don’t realise any of the limitations we are facing at that point. The Sherp: As artists who are not restricted by a particular genre, how important is it today for musicians and bands to be diverse in their sound? Benny Dayal: Based on how rapidly music is diversifying it is always good to be open to incorporating new sounds into the music, but at the same time trying not too hard to change the core Funk sound that we as a band have. It is a debatable topic though, sometimes diversifying your sound is good and sometimes it is not. You just have to go with instinct. 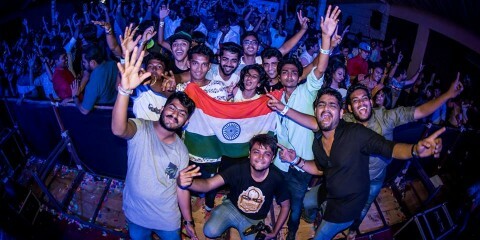 The Sherp: If you could collaborate with any of the international artists who are scheduled to perform at Bacardi NH7 Weekender, who would it be and why? Benny Dayal: It would definitely be FKJ and Hiatus Kaiyote because we are into that genre of music. Also simply because we’re very big fans. The Sherp: Can you give us a sneak peek into the playlist you’ll put together for BACARDÍ NH7 Weekender. Just so our fans know what they will miss out on if they don’t book their tickets to the festival. Benny Dayal: We will be playing songs from our upcoming Tamil EP, which will mostly be out by the time we perform at the weekender. We will also be playing some of our other Hindi and English originals. We might also throw in some of our rehash versions of our commercial Bollywood songs depending on the set duration. Get your tickets for an awesomesauce weekend in Pune right here. Follow BACARDÍ NH7 Weekender on Facebook, Instagram and Twitter. Follow their event page right here. Follow The Sherp for more updates on the festival scene around the world!